Home Last news How Is the Polisario Connected to Al- Qaeda? How and why are the Polisario militia in collusion with al-Qaeda franchises and other terrorist groups operating in the Sahel and the Maghreb? Part of the answer to these serious questions is brought by The Washington Post which warned, in a story published on Wednesday, against the collusion existing between terrorist groups and members of the Polisario who are recruited directly in the Tindouf camps in southwestern Algeria. The rise of power of Al- Qaeda and other extremist groups in the Sahel and North Africa raises concerns and fears. 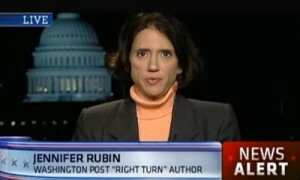 Al- Qaeda is spreading like wildfire in North Africa, as evidenced by the upsurge in violent attacks perpetrated in the region in 2013, says Jennifer Rubin, author of the story. Referring to the latest report of The Potomac Institute’s International Center for Terrorism Studies (ICTS), The Washington Post noted that the perpetrators of these attacks are motivated by various ideologies and include besides Al- Qaeda in the Islamic Maghreb (AQIM), elements of Boko Haram, Ansar Dine, the Movement for the uniqueness and jihad in west Africa (MUJA) Al- Shabaab and activists recruited in the Polisario-run camps. It is for this reason that the ICTS report author, Yonah Alexander, emphasized, during the presentation of his report in Washington, the imperative necessity to conduct a census in the Polisario-controlled Tindouf camps. Yonah Alexander urged the international community to work towards the diplomatic resolution of the Western Sahara conflict and other outstanding disputes that inhibit both security and economic cooperation in the Maghreb and Sahel. The report also called for disbanding the Polisario military units and the release of the populations sequestered in the Tindouf camps.